Easy to activate yet difficult to destroy, the Bulldog is tested to 300 million activations. Designed for very low maintenance and built on tested and proven technology. 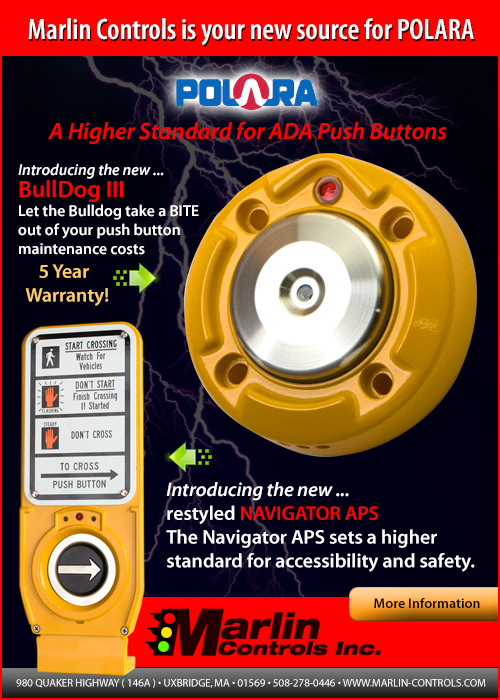 Why the BullDog III is the Best Push Button Available ? Transient protection that meets and exceeds NEMA specifications. Independent lab tested and certified! Activated with less than two pounds of force. Withstands severe impacts from skate boards, baseball bats, hockey sticks, etc. Provides a two-tone audible confirmation as well as visual confirmation. Cannot be jammed or stuck on. Wind, hail, and vibration have no negative effects. Requires a push action to activate. Superior grade pre-treatment and powder coat. Independently lab tested and rated NEMA 250 (6P). The BullDog's 316 Marine grade stainless steel button cap far exceeds the durability of competitive products.